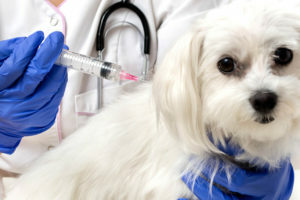 At the Animal Clinic of Billings we have spent decades educating people about the benefits of dog vaccinations. This includes what vaccines are necessary and how they should be scheduled. 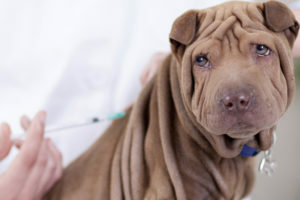 Over the years we have been asked every question possible about dog vaccinations and we have compiled some of the most frequently asked ones for you here. This is only meant to be a general introduction to dog vaccinations. At your dog’s next veterinary appointment, we will be happy to help you understand the vaccination recommendations for your dog. Vaccines help prepare a dog’s immune system to defend itself from any invasion of disease-causing organisms. 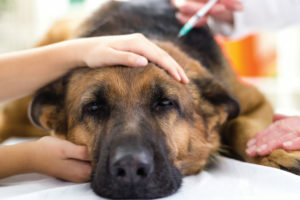 Vaccines contain antigens, which mimic disease-causing organisms in a dog’s immune system, but don’t actually cause disease. The purpose of puppy vaccines and dog vaccines is to mildly stimulate the immune system by having it recognize the antigens present. This way, if a dog becomes exposed to the real disease, it’s immune system will recognize it, and therefore be prepared to fight it off, or at the least reduce its effects. Although these vaccines are not considered Core, they are very important for most dogs who may be exposed to these infectious diseases. 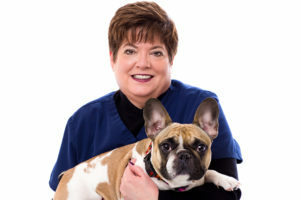 At your dog’s next appointment, we will be happy to review which of the above make the most sense for your dog and make the appropriate recommendations. 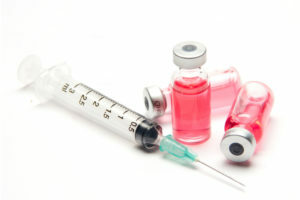 Rabies vaccinations are required by law in most states, including Montana. 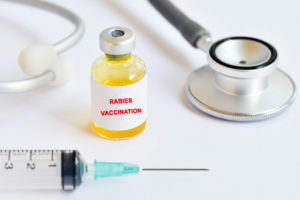 Owners must periodically have their dogs and puppies vaccinated against rabies, but the specific time frames for puppy vaccinations and dog vaccinations vary by state. In Montana, puppy rabies vaccine is generally given at 16 weeks ( no earlier than week 15), and the rabies vaccination is good for one year. 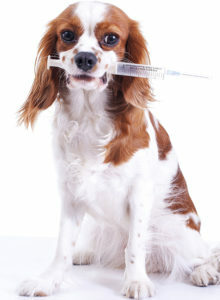 For adult dogs, the rabies vaccination is good for three years and should be addressed at the time of the first visit for new patients. For example, a puppy would receive the rabies vaccine at 16 weeks, 1 year and then again at age 4. Therefore, it is very important for us to discuss the vaccination protocol that’s right for your canine companion at your next appointment. In general, a puppy should start vaccines as soon as you get the puppy (this is usually between 6 and 8 weeks) and then every three weeks until approximately four months of age when it will receive the final round. Generally, if the puppy’s mother has a healthy immune system, it will most likely receive antibodies in the mother’s milk while nursing. After a puppy has been weaned off of the mother’s milk, vaccinations should begin. It is important to stay current with your puppy vaccine schedule. Puppy vaccinations have been medically proven to combat many preventable diseases and illnesses that can occur without proper immunizations. Adhering to a puppy vaccine schedule is synonymous with responsible puppy care. Your puppy deserves every chance to be healthy and happy for life and vaccinations play an important role. Don’t run the risk of your puppy contracting one of these terrible diseases, when they are so easily preventable. Once your puppy reaches adulthood, and all of the core puppy vaccines have been administered, your veterinarian can begin implementing an adult dog vaccination schedule. 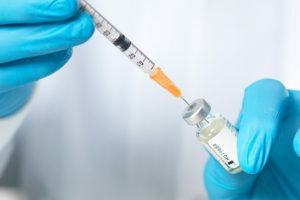 A dog vaccination schedule consists of periodic *adult boosters*, which are combinations of the same type of DHPP vaccine administered to puppies, along with several other additions. Call and schedule an appointment for your four-legged friend today and receive a 20% discount on canine rehabilitation treatment for your dog.